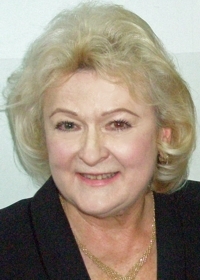 She is a member of ten international societies, including the American Academy of Dermatology and European Academy of Dermatology and Venereology, as well as an honorary member of the Austrian Dermatological Society and of the Hungarian Sexually Transmitted Society. Dr. Lipozencic is Vice-President of the Croatian Academy of Medical Sciences; a member of the Board of Directors of the European Academy of Dermatology and Venereology; and a member of the Committee for Allergology, Clinical Immunology ,and Biological Preparation of the Croatian Academy of Sciences and Arts. Her interests include allergy and clinical immunology in dermatology, especially atopic dermatitis and in vivo diagnostic procedures, psoriasis, syphilis, epidermal malignant tumors, and lasers in dermatology.